handmade needlebook with pins and needle. 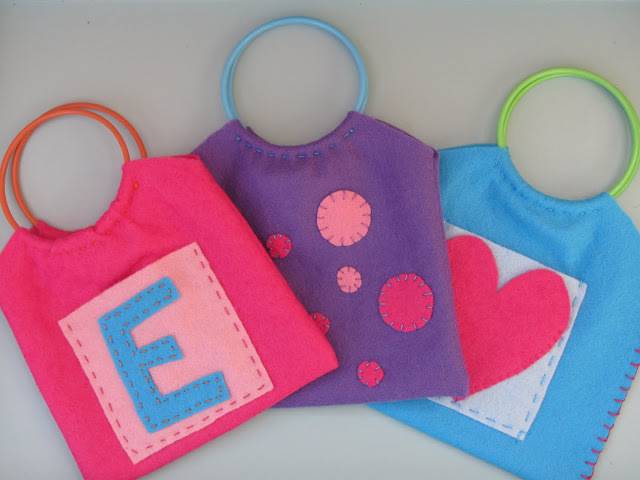 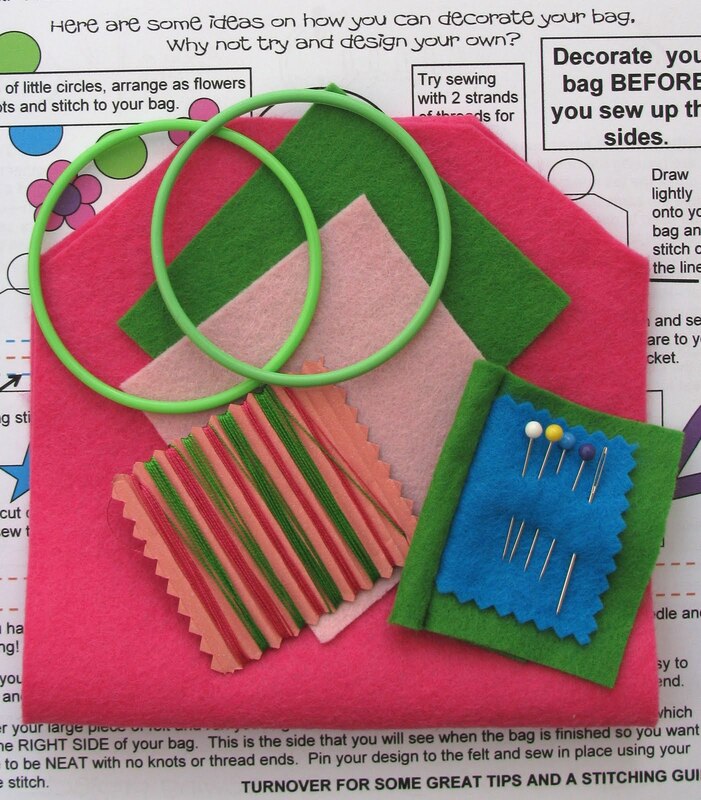 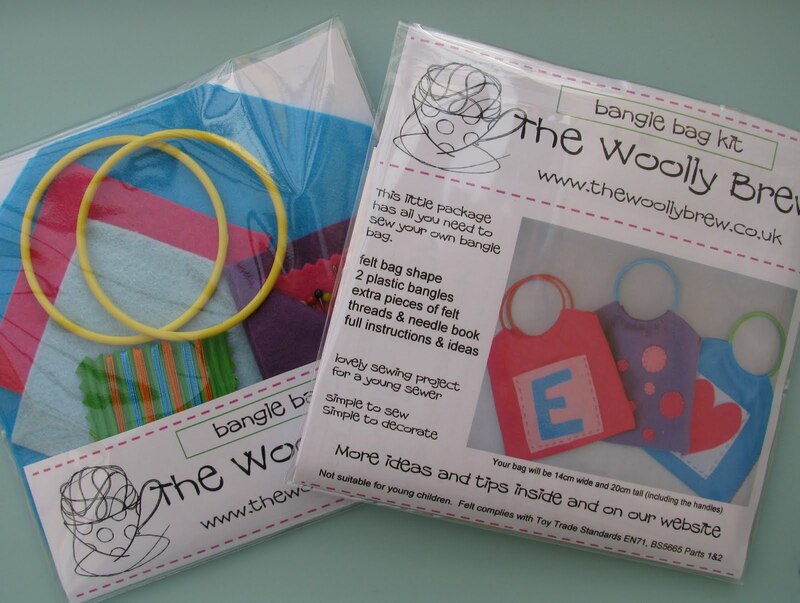 The Woolly Brew Bangle Bag kit is £8 and includes everything to design and make a bangle bag. 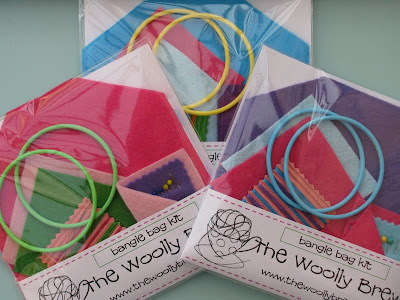 Available in 3 bright colours - pink and blue and purple - with different contrasting bangles, felt and threads in each pack, you can create a unique bag with a few simple stitches.